This is the final piece in a series of three articles discussing the phenomenon of low-cost private schooling in India. You can read the first two articles here and here. The need for literate workers during the industrial revolution prompted churches and governments across Europe to be involved in running schools at home and in colonies across the world. Commenting on the limited intellectual capacity and the nature of education produced by Indians, Macaulay, wrote, “A single shelf of a good European library was worth the whole native literature of India and Arabia.” Convinced of their intellectual superiority, the colonial government set about educating a class of natives who were, “Indian in blood and colour, but English in taste, in opinions, in morals and in intellect.” In came the English Education Act, 1835, and the emergence of a public education system focused on teaching a western curriculum using English as medium of instruction. Elementary education by the state is altogether objectionable. Defining by a general law the expenditures on the elementary schools, the qualifications of the teaching staff, the branches of instruction, etc., and, as is done in the United States, supervising the fulfillment of these legal specifications by state inspectors, is a very different thing from appointing the state as the educator of the people! Government and church should rather be equally excluded from any influence on the school. In the last decade, the debate on primary education in India has seen participation from two opposing groups— one argued that there is nothing wrong with the public school system, and all we need to do is to pump in more money. The other contended that there is something fundamentally wrong in the way incentives are designed for private schools. While the Right to Education (RTE) requires schools to pay teachers as per the Seventh Pay commission, a majority of private schools pay teachers far below public schools. Despite this, teacher-related requirements are the most expensive component for a private school. Teacher quality and retention are both concerns, as teachers “leave for a minimal increment to their competitor. 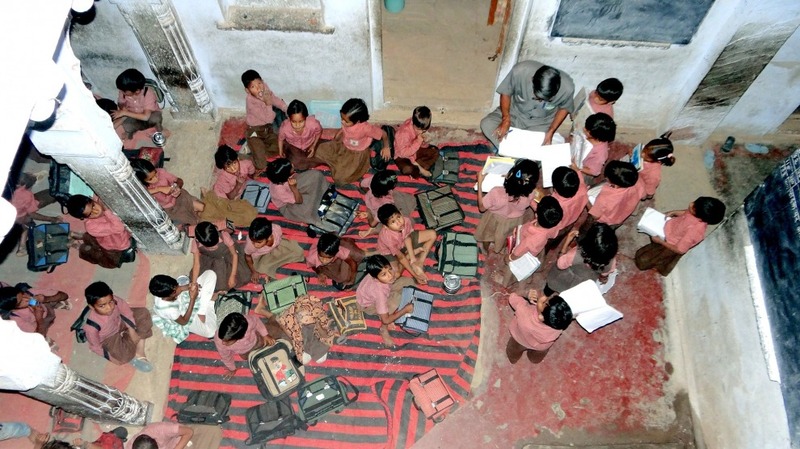 This fear has led to almost negligible investment in the teachers’ pedagogical growth and skills development.” Instead of focusing on qualifications, the primary education crisis in India requires that teachers be present and engaging with students. As a practical solution, Nagarajan suggests that “systems could require teachers meet certain basic requirements to protect students, while not mandating full accreditation.” The Philippines, for example, have relaxed the condition that all teachers be certified by the central body at the time they start teaching, requiring only that they are on track to clear their exam within 5 years. The best option to move forward was to create a set-up of an educational services’ company alongside an educational trust.The services company would buy the land and build the buildings; the trust then rents these from the company. The education services company designs the assessments, creates curriculum workbooks, conducts teacher recruitment, teacher training, fees collection and so on. The trust again pays for these services. We figured that creation of this somewhat complex model was the only legal way to move forward paying due taxes on profit generated through services. Spending on education is significant across income groups, with average household expenditure at Rs 9,675 per month. With the education market expected to expand to Rs 11,88,000 crores by 2020, parents are looking at private schools to educate their children, but supply is unable to meet demand. Policy Goal: Fund students not schools! Instead of viewing them as illegitimate providers, policymakers must reimagine current regulation and create a larger role for BPS, unleashing the competitive market process and resulting innovations required to take Indian education into the 21stcentury. Studies on primary education from across the developing world have “found that when interventions provided more-of-the-same educational inputs without changing pedagogy or accountability, they consistently had insignificant effects on students’ performance.” With so much as stake, governments should look to utilize limited public resources efficiently, with investment focused not on building schools, but ensuring that children are learning, thus shifting the focus from provision to financing of primary education. Evidence from across developing countries on Direct Benefit Transfer (DBT) experiments in primary education using cash transfers and vouchers is encouraging. When compared to students attending public schools, those children attending private schools with the help of cash transfers are 65% more likely to attend school and report significantly lower dropout rates. The Andhra Pradesh School Choice Project, the largest DBT experiment in Indian primary education, found that schools with students receiving a voucher achieved learning outcomes higher than or equal to those in government schools, at only one third the cost. Exploring how DBT can be used to influence school and parent behaviour, Shah proposes a model which “combines the benefits of a voucher and a cash transfer, i.e., money to cover school fees with an additional stipend to discourage child labour or early marriage.” Section 12 (1) (C) of the RTE Act, which requires that 25% of enrolment in private schools consists of children from poorer families, can be implemented through DBT as a significant test case in examining the benefits of funding primary education across India. This is the third in a series of three articles discussing the phenomenon of low-cost private schooling in India: 1) The Rise of Budget Private Schools in India; 2) What is behind the private school revolution in India?